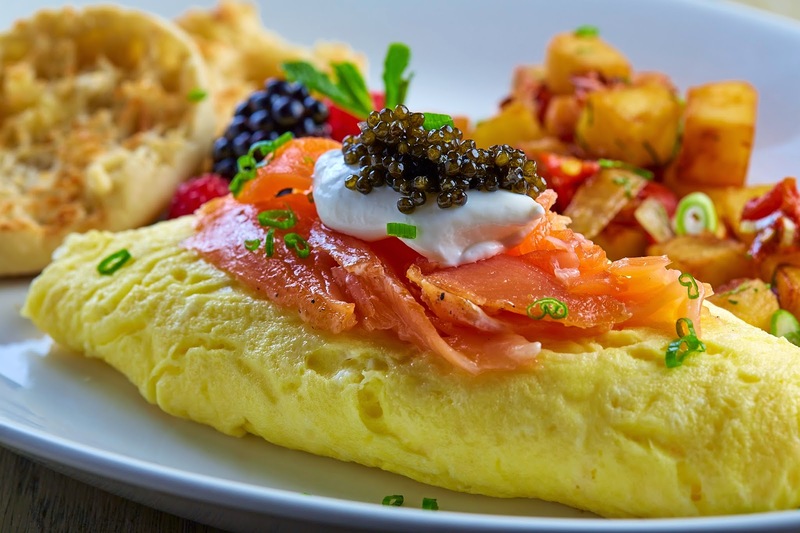 Chef John Tesar recently launched brunch service at Knife, the critically acclaimed steakhouse located inside The Highland Dallas. The restaurant offers a wide variety of entrees and specialty brunch cocktails every Sunday from 10 a.m. until 2 p.m. Recently nominated a third time as a James Beard Best Chef Southwest semifinalist, Tesar designed the menu to include one-of-a-kind dishes highlighting his signature aged meats, along with more traditional brunch favorites. 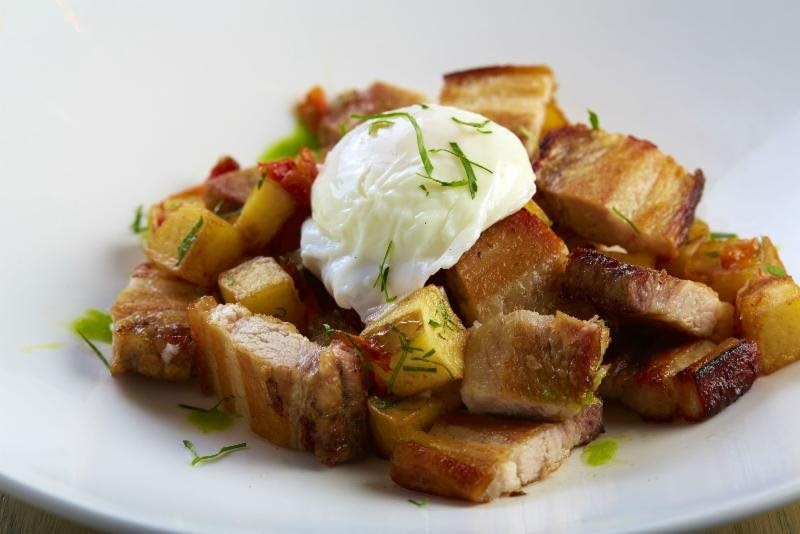 Selections from the award-winning steakhouse's new brunch menu include short rib benedict with braised short rib, toasted english muffin and hollandaise; crispy pork belly hash with a poached egg and roasted potatoes; Marion Cunningham crispy yeast waffles with Applewood-smoked bacon, strawberries and bananas. 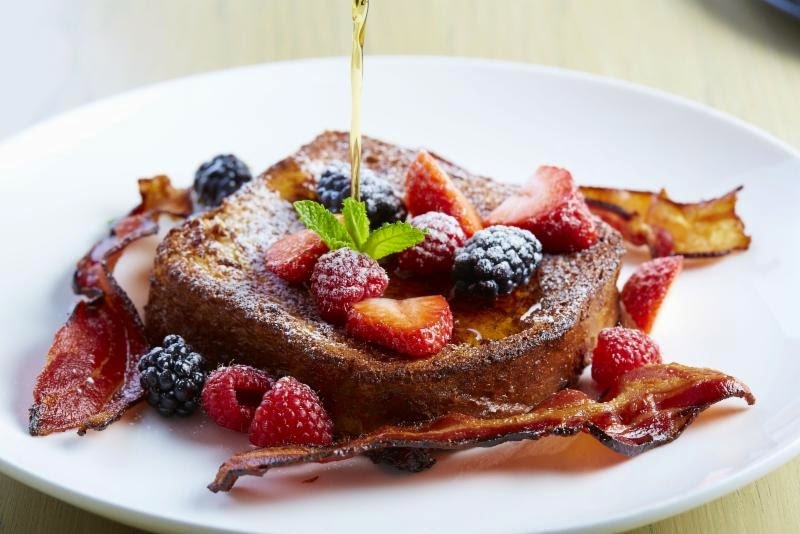 The menu also features updated classics such as steak and eggs made with 44 Farms flat iron and French toast made with Brioche. I found it very Teasr-ish to have a Bacon Tasting on the menu, which consists of 5 varieties of bacon from pigs around the world and a Ham Tasting, which consists of slices of 5 different kinds of ham accompanied by David Chang's Red-Eye Gravy Mayo. A special craft cocktail menu is available during brunch hours, featuring Bugs' Reward, a mix of rum, carrot, lemon, maple, egg whites and ginger ale; the Hibiscus Caipirinha featuring cachaca rum, hibiscus and lime; the Green Bloody Mary made with Knife's homemade tomatillo bloody mary base; and more. Guests may enjoy a casual brunch in Knife's dining room with a view of the open kitchen or opt for a more private dining experience on the restaurant's newly renovated patio, where seating is available at three exclusive covered cabanas that seat four people. Knife is also open daily for breakfast 6:30-11 a.m., lunch 11 a.m.-2:30 p.m. and dinner 5-11 p.m. Reservations are recommended by calling 214.443.9339. Knife is located inside The Highland Dallas hotel at 5680 N Central Expy, Dallas, TX 75206.